The Netherlands and Germany are a cut above all others right now. Actually, considering how the South American teams barnstormed through the early games, how surprising is it that only one team is in the semifinals-and the one team is Uruguay! No Argentina, no Brazil. Paraguay played very solid but not attractive football; plain and simple it was about defense and counterattacks. Brazil entered their match with Holland playing the best ball of all the teams, but bad luck and a more determined Holland team dispatched them out of the tournament. I won’t say too much about Brazil, because I didn’t think they would win the tournament anyway. I did think they would make the semis, but unfortunately their lack of a real play maker (not Kaka, the most overrated Brazilian superstar and worst #10 I have ever seen) doomed them as the tournament got tougher and the quality of opposition better. Think Ronaldinho would have made a difference? We’ll never know. Uruguay and Ghana played what was probably the best match of the tournament; and Ghana was incredibly unlucky to have not made it to the semi finals. Diego Forlan has been a one man wrecking crew, carrying Uruguay on his shoulders and supported capably by Luis Suarez and they are carrying the hopes of South America now. In my May 17th blog post, I identified Forlan as one of the players to watch in this tournament, and he has not disappointed. Suarez went from goat to hero in an instant, but his red card will put Uruguay at a huge disadvantage against the Dutch. Argentina went up against a more disciplined team in Germany and got embarrassed. Completely outplayed and seemingly without a defensive scheme, they were exposed by a young, hungry German side. I will freely admit, I did not think Germany was that good, even after they beat England. Right now they are playing full of confidence, poise and scoring goals in bunches they will be a stern test for my favorites, Spain in the semi-finals. I do see a 2-1 game here with Spain advancing but it will be a very tough match. The Netherlands, who along with Spain carries the distinction of the greatest nations to never win a World Cup, will have their hands full facing Uruguay. Wesley Sneijder (L) is having a phenomenal year for club and country, Van Persie is coming off an injury plagued season and showing great form, the team is clicking on all cylinders and I see it continuing. I think the Dutch will win 2-1. 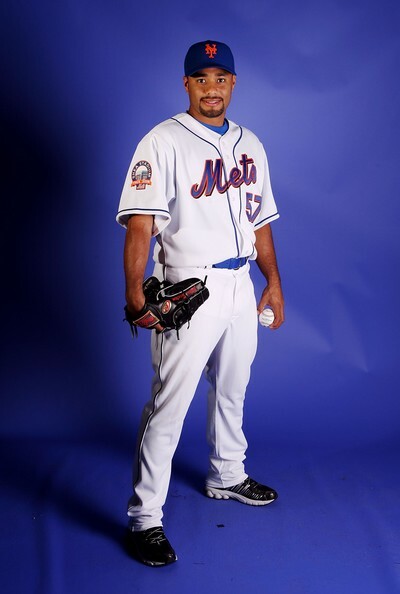 Three years ago Johan Santana (R) was the class of the free-agent crop; a dominating pitcher with one of the best winning percentages in the majors and on a trajectory that was saying Hall of Fame level greatness. 2 Cy Young awards, twice the AL ERA leader and three times the strikeout leader, he was as dominating as any pitcher could be in the early post-steroid days. Then he signed to play for the Mets. One good season in 2008, but overall a record of 34 wins & 55 no-decisions in the last two and a half seasons. The Mets have notoriously failed to provide run support for him in many of his starts, and while he has continued to soldier on, the question that has to be on his mind is this: did he blow his chance for the Hall of Fame, not to mention 200 wins, by chasing the biggest paycheck? His ERA since joining the Mets is 3.02. His ERA in the three years prior to coming to NY was 2.99. His innings pitched, games started, strikeouts and hits allowed are all in line with his Minnesota numbers, factoring in of course his injury plagued 2009 season. The big differences however are these; no shutouts in 3 years. No complete games in 3 years. No season with more than 16 wins in NY, and on a pace this year to reach 12, his lowest season total since 2003. With 127 career wins, Santana may still reach 200, but it’s a long-shot. Did I mention those 55 no-decisions? As great as he has been in the past, there have been some questions about his fitness. Add in the undeniable fact that the Mets have not been supporting him in his starts, this great pitcher may be doomed to mediocrity the rest of his career. At a minimum his experience should be a cautionary tale to other players; the money is great, but winning counts, and if the dollar amounts are more or less equal, why not go to a real contender? Santana (allegedly) capitulated to the players union-that bastion of integrity-and didn’t accept lesser offers from better teams. Congrats to Jason Heyward being selected to the All-Star game in his first season. He won’t be playing as he is presently on the disabled list, but it’s nice to see the fans acknowledging his great rookie season. Serena Williams is the best women’s tennis player ever. Yeah, I said it! Bible Study – The Pure in Heart.